Amazon is currently attempting to create smart-houses by intertwining Alexa with household appliances. 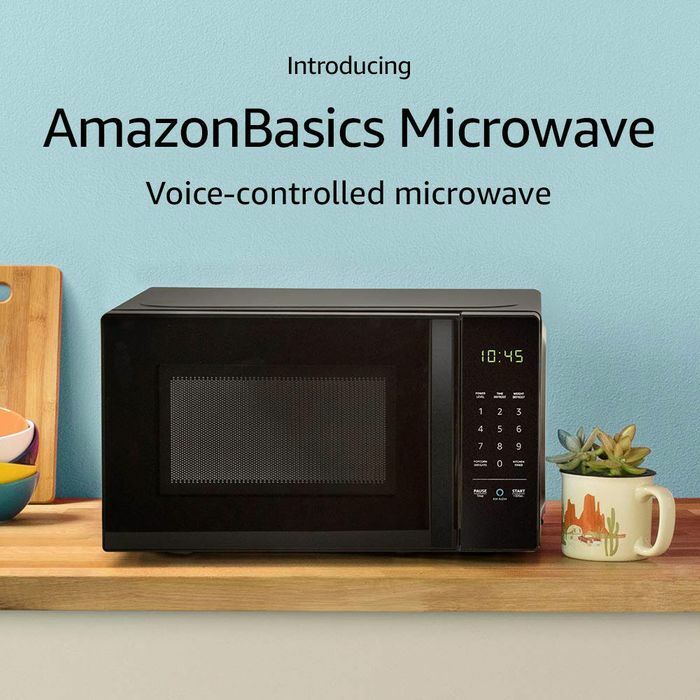 A few of the 70 new devices and capabilities that are now Alexa-powered include a microwave, a wall clock, a refrigerator, and a car. As Amazon’s AI becomes ever present, it will also become more intelligent as it gathers data constantly as people go through mundane routines such as cooking or driving. However, as we become increasingly exposed to technology powered by artificial intelligence, we also become increasingly aware of our privacy rights. Companies such as Amazon and Google thrive off of collecting consumer data, but once their AI capabilities are employed on public devices, it only makes users more concerned about their privacy. This is where Snips provides a clever solution. Snips is an artificial intelligence platform that exists by the mission: “Using Voice to Make Technology Disappear.” Snips’ goal is to help users work with their technology so that it can respond to their needs using natural language and ultimately fade into the background of their lives. Although this platform differs from the most AI assistants because it takes user privacy into account. Snips is the only voice assistant that guarantees user privacy. The platform was founded in 2013 by Mael Primet, Michael Fester, and Rand Hindi and raised $13 Million in Series A funding in 2017, and now has a total funding amount of $24.7 Million. Their website explains “no one will ever hear your voice but you.” The AI software runs on device, and is not connected to the cloud so that all data will stay within users’ scope. This also ensures that Snips will operate even if the cloud or network is down. Regardless of being an on device system, Snips is performing outstandingly. They published a report comparing Snips with Amazon’s Alexa, Google’s Api.ai, Microsoft’s Luis, Apple’s Siri, IMB’s Watson, and Facebook’s Wit. Although the test made it clear that no AI is dependable enough to correctly identify all user queries, Snips was certainly in the forefront without the massive amounts of training data the other companies have gathered from their users. The first step in using Snips is naming your assistant. Users can choose multiple languages to communicate in, and train their AI from bundles of actions that the Snips community has created. There is even the opportunity for users to create custom commands, as shown below. 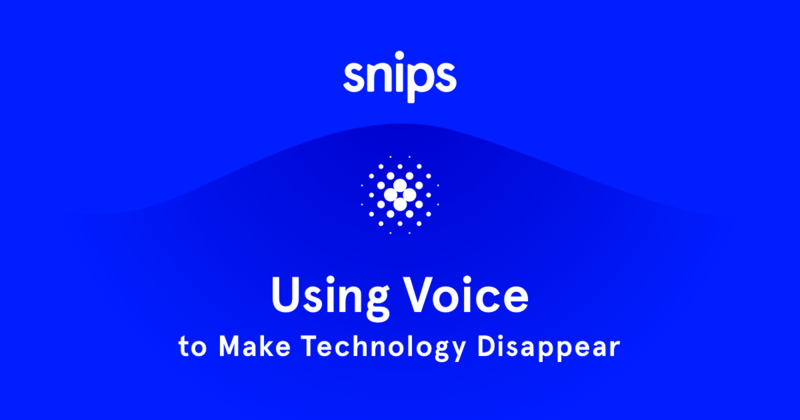 Anyone can use the Snips voice platform to build custom assistance for their connected products. A video on the Snips website shows users asking their assistant to make them coffee, adjust room temperature, and buy products as soon as they go on sale. Since the platform is only fed data from one user, it is possible to cater commands very specifically. In addition to Android and IOS, users can also connect Snips to Raspberry Pi, a small and affordable computer that allows beginners to experiment with computer programming. This allows for a ton of creativity in the Snips community, and brings a sense of belonging and learning to the platform. There are tons of shared posts about users’ experimentations with Snips on Raspberry Pi, and they have come up with various ways to include the AI technology into their everyday lives, including one blogger who trained his Snips to lower and raise his curtains on command. Snips continuously pursues their mission for privacy, most evident in their #VoicesofPrivacy Tour. 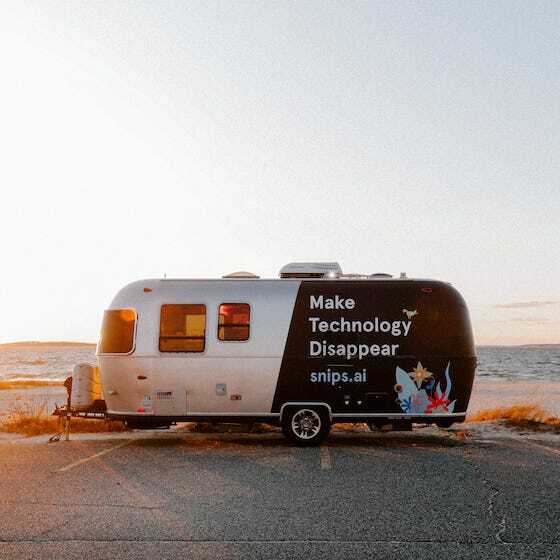 They launched this 7500-mile trip across the US to discuss topics related to data privacy, AI, and the future of technology as we interact with the connected devices around us. They have partnerships in SweetGreen, which promotes clean eating, and Headspace, a healthcare company helping users create healthy habits. Snips was able to create a community of users who share their tips on new programs and actions to add to their assistant. This differs vastly from the groups of worried users who protest Google and Facebook’s personal data collection. Snips continues to spark the conversation on privacy through Twitter where they share articles that explain how tech companies can access your personal information. A key takeaway is that artificial intelligence and privacy do not have to be mutually exclusive. Snips is launching new products in the upcoming year to become a more widespread brand and make more people aware of this fact. Snips AIR, available in 2019, includes a base station and portable microphones to create a network of AI for your home that can protect your family’s privacy. With applications that include calendar events, reminders, messaging capabilities, and home automation, families can finally be assured that their personal schedules and data are secure. Allie, I really enjoyed reading your blogpost because I think it is incredibly interesting that a company like Snips is competing in the same space as powerhouses like Amazon and Google, but branding their product in a completely different way. I think that their partnerships with Sweetgreen and Headspace are really unique, and show their overall commitment to peoples privacy and their health. Another point that I thought was really intriguing was that Artificial Intelligence and privacy do not have to be mutually exclusive. Yes, the future of homes is going to be largely intertwined with AI, but Snips is proving that does not mean giving up your family’s privacy. Pretty cool. Great post! I think there is such a massive need in the market today for a product like this. It’s such a breath of fresh air to hear about a company whose focus is on consumer privacy rather than accumulation of consumer data. I hope the success of Snips leads the market towards privacy, especially in places like the U.S. where the laws on the subject are murky at best and companies continue to exploit data for profits. I wonder if Snips will encounter any problems with their business model down the road, as their method of operation is so different than that of their competitors. Awesome post!! I just shared a post about the Alexa microwave on my twitter, so very cool to see that this came up in your blog! It sounds like Snips is making the smart marketing decision to place a heavy emphasis on customer privacy, as security becomes an increasing concern in the technology field. Snips does sound like a great product, and is definitely further ingraining society in to the internet of things. Great post Allie! I think there is no better time than now for Snips to promote their product. People are more worried now than ever about technology companies abusing their privacy with the Cambridge Analytica scandal. I even think that Snip’s technology would be a good strategic acquisition for Amazon or Google given that they have the forefront voice assistant products. I think this would give them a competitive edge over the other since people are beginning to have a heavy reliance on these products in their homes, yet also would enjoy the assurance that their data is protected. While having other larger tech companies show the same respect for our privacy, Amazon and Google thrive off the extra data they are collecting through their AI products. I think they would be hard-pressed to give it up! We talked in class about how important it is for companies to be introduced at times that people will need and be interested in their services. I think Snip is branding itself and growing at a time that makes their product extremely relevant, as privacy is a major concern today. It’s interesting to see how they separate themselves from competitors of different sizes with all slightly different missions. Great post Allie! I had never heard of Snip before, but I totally understand why it can penetrate the market and provide privacy services. Especially at a time when wearables, the IoT, and other smart products are becoming more and more omnipresent and therefore invasive, Snip really can provide a first mover advantage and establish itself as a brand before the real need arises. It will definitely be interesting to see where these technologies will take us, so it’s great that companies like Snip can be reassuring of salvaging our privacy before it gets to be too late. Thanks for sharing!